When Ashok Bajaj moved to D.C. from London 30 years ago, he arrived with one objective: to open a fine-dining Indian restaurant in the nation’s capital. Now, he is celebrating the restaurant's 30th birthday. WASHINGTON — When Ashok Bajaj moved to D.C. from London 30 years ago, he arrived with one objective: to open a fine-dining Indian restaurant in the nation’s capital. Today, D.C.’s dining scene would be incomplete without one — or several. But the restaurant industry was drastically different in the late ‘80s. Most of the white tablecloth establishments focused on French. “The city had more French restaurants than any other restaurants during that period. So when I came here, my goal was to introduce refined Indian cuisine,” said, Bajaj, a native of New Deli. But in an attempt to secure a spot near the White House, the restaurateur ran into some difficulty. “I don’t think there was an understanding of ethnic cuisine back then, or Indian cuisine, in particular, back then,” said Bajaj, who is now the owner of Knightsbridge Restaurant Group and oversees eight D.C.-based restaurant concepts. 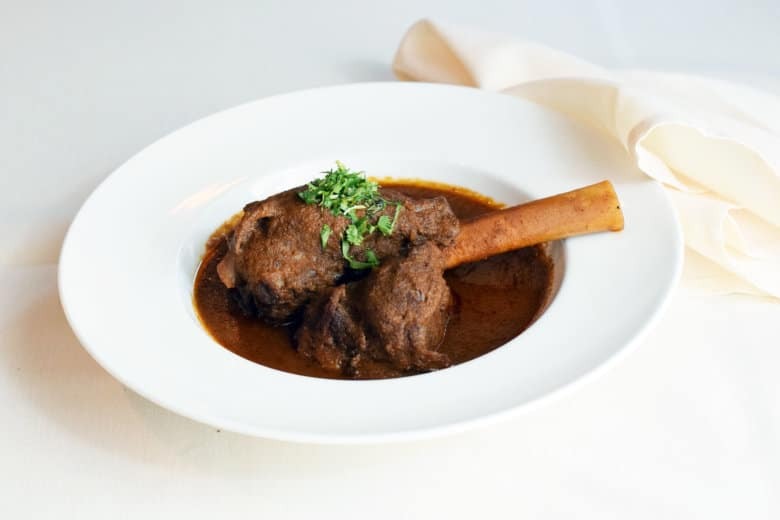 This month, Bajaj is celebrating the 30th anniversary of D.C.’s first fine-dining Indian restaurant, The Bombay Club, which sits just one block from The White House. Three decades after its opening, the Connecticut Avenue restaurant is one of the city’s most revered establishments. Several presidents have dined there — “When President Clinton came here in 1993 and subsequently many times after that, I think he put the restaurant on the map,” Bajaj said — and so have celebrities, including Goldie Hawn, Kurt Russell and Harrison Ford. The Bombay Club also paved the way for other restaurants to showcase global cuisines in a more formal setting. In 2005, Bajaj opened Rasika, which is arguably D.C.’s best restaurant. Bajaj credits a few things to The Bombay Club’s success. First, is the continued “acceptance” of Indian food, which Bajaj saw accelerate during the dot-com boom when travel to India increased. A heightened interest in different cultures has also led to more adventurous eaters. “The younger generation, especially, they like ethnic food — not just Indian food but other cuisines as well,” Bajaj said. Since opening The Bombay Club and Rasika, Bajaj has also added Bindaas to his collection of restaurants. The more casual Cleveland Park eatery takes a different approach to Indian cuisine and celebrates its street food with chats, wraps and kebabs. Bajaj also runs the Italian outpost Bibiana, and recently acquired the space of the former Restaurant Nora, where he plans to serve a seasonal American menu. But for now, he is celebrating The Bombay Club’s birthday with a special anniversary dinner menu, complete with truffle rasam, dum ka lobster, chicken Firdausi, a dessert sampler and more. “Thirty years has gone by quickly, but we are happy to be part of the community here for the last 30 years,” Bajaj said. The Bombay Club is located at 815 Connecticut Ave. NW. The restaurant serves dinner, weekday lunch and Sunday brunch.